Emission and concentration implications of long term climate targets, such as limiting global warming to below 2°C. Maintenance and further development of MAGICC6, the lower complexity coupled carbon-cycle, climate model, together with Tom Wigley and Sarah Raper. Analysis of GCM and carbon cycle (CMIP3, C4MIP and forthcoming CMIP5) intercomparison exercises. Creation of greenhouse gas concentration pathways for the Representative Concentration Pathways (RCPs), the new set of scenarios for climate change research. Analysis of international climate policy agreement under the UNFCCC in regard to their emission and climate implications. Team-leader of the research group PRIMAP at PIK until May 2011, now PRIMAP affiliate and at School of Earth Sciences, University of Melbourne (see http://www.primap.org). Member of External Advisory Board of "Nature Climate Change" and Editorial Board member of "Scientific Reports", both by Nature Publishing Group. Interview in UPCLOSE, a science radio news podcast by the University of Melbourne: "Degrees of Uncertainty: Modeling the climate impact of greenhouse gases". (29min), 2012. Radio interview on study by Mahe Perrette on regional sea level rise, February 2013. Listen to Interview on ABC Radio here. 41. Heinke, J., S. Ostberg, S. Schaphoff, K. Frieler, C. Mueller, D. Gerten, M. Meinshausen and W. Lucht (2013). "A new climate dataset for systematic assessments of climate change impacts as a function of global warming." Geoscientific Model Development 6(5): 1689-1703. 40. Khodayari, A., D. J. Wuebbles, S. C. Olsen, J. S. Fuglestvedt, T. Berntsen, M. T. Lund, I. Waitz, P. Wolfe, P. M. Forster, M. Meinshausen, D. S. Lee and L. L. Lim (2013). "Intercomparison of the capabilities of simplified climate models to project the effects of aviation CO2 on climate." Atmospheric Environment 75: 321-328. 39. Luderer, G., R. C. Pietzcker, C. Bertram, E. Kriegler, M. Meinshausen and O. Edenhofer (2013). "Economic mitigation challenges: how further delay closes the door for achieving climate targets." Environmental Research Letters 8(3). 36. 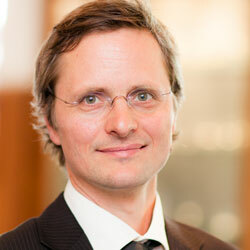 Joos, F., Roth, R., Fuglestvedt, J. S., Peters, G. P., Enting, I. G., von Bloh, W., Brovkin, V., Burke, E. J., Eby, M., Edwards, N. R., Friedrich, T., Frölicher, T. L., Halloran, P. R., Holden, P. B., Jones, C., Kleinen, T., Mackenzie, F. T., Matsumoto, K., Meinshausen, M., Plattner, G.-K., Reisinger, A., Segschneider, J., Shaffer, G., Steinacher, M., Strassmann, K., Tanaka, K., Timmermann, A., and Weaver, A. J. (2013), "Carbon dioxide and climate impulse response functions for the computation of greenhouse gas metrics: a multi-model analysis", Atmos. Chem. Phys., 13, 2793-2825, doi:10.5194/acp-13-2793-2013. 32. Frieler, K., M. Meinshausen, M. Mengel, N. Braun, W. Hare (2012). "A Scaling Approach to Probabilistic Assessment of Regional Climate Change." Journal of Climate 25(9): 3117-3144. 16. Frieler, K., M. Meinshausen, T. Schneider von Deimling, T. Andrews, and P. Forster (2011), Changes in global-mean precipitation in response to warming, greenhouse gas forcing and black carbon, Geophys. Res. Lett., 38, L04702, doi:10.1029/2010GL045953. 11. Manning, M. R., J. Edmonds, S. Emori, A. Grubler, K. Hibbard, F. Joos, M. Kainuma, R. F. Keeling, T. Kram, A. C. Manning, M. Meinshausen, R. Moss, N. Nakicenovic, K. Riahi, S. K. Rose, S. Smith, R. Swart and D. P. van Vuuren (2010) "Misrepresentation of the IPCC CO2 emission scenarios." Nature Geosci 3(6): 376. 10. Rogelj, J., J. Nabel, C. Chen, W. Hare, K. Markmann, M. Meinshausen, M. Schaeffer, K. Macey and N. Hohne (2010). "Copenhagen Accord pledges are paltry." Nature 464(7292): 1126. 7. Schaeffer, M., T. Kram, M. Meinshausen, D. P. van Vuuren and W. L. Hare (2008). "Near-linear cost increase to reduce climate-change risk." Proceedings of the National Academy of Sciences 105(52): 20621-20626. 6. Van Vuuren, D. P., M. Meinshausen, G. K. Plattner, F. Joos, K. M. Strassmann, S. J. Smith, T. M. L. Wigley, S. C. B. Raper, K. Riahi, F. de la Chesnaye, M. G. J. den Elzen, J. Fujino, K. Jiang, N. Nakicenovic, S. Paltsev and J. M. Reilly (2008). "Temperature increase of 21st century mitigation scenarios." Proceedings of the National Academy of Sciences 105(40): 15258-15262. 5. Knutti, R., M. R. Allen, P. Friedlingstein, J. M. Gregory, G. C. Hegerl, G. A. Meehl, M. Meinshausen, J. M. Murphy, G.-K. Plattner, S. C. B. Raper, T. F. Stocker, P. A. Stott, H. Teng and T. M. L. Wigley (2008). "A review of uncertainties in global temperature projections over the twenty-first century." Journal of Climate 21: 2651-2663. 4. den Elzen, M., M. Meinshausen and D. van Vuuren (2007). "Multi-gas emission envelopes to meet greenhouse gas concentration targets: Costs versus certainty of limiting temperature increase." Global Environmental Change-Human and Policy Dimensions 17(2): 260-280. 3. den Elzen, M. G. J. and M. Meinshausen (2006). "Meeting the EU 2°C climate target: global and regional emission implications." Climate Policy 6: 545-564. 2. Hare, B. and M. Meinshausen (2006). "How much warming are we committed to and how much can be avoided?" Climatic Change 75(1): 111-149. 1. Meinshausen, M., B. Hare, T. M. L. Wigley, D. van Vuuren, M. G. J. den Elzen and R. Swart (2006). "Multi-gas emission pathways to meet climate targets." Climatic Change 75(1): 151-194. Peters, G.P., A. Reisinger, J.S. Fuglestvedt, M.Meinshausen, (submitted) "Dependence of Global Warming Potentials on constant and variable background concentrations"
Meinshausen, M. (2006). What does a 2°C target mean for greenhouse gas concentrations? - A brief analysis based on multi-gas emission pathways and several climate sensitivity uncertainty estimates. Avoiding Dangerous Climate Change. J. S. Schellnhuber, W. Cramer, N. Nakicenovic, T. M. L. Wigley and G. Yohe. Cambridge, Cambridge University Press. den Elzen, M. G. J. and M. Meinshausen (2006). Multi-Gas Emission Pathways for Meeting the EU 2°C Climate Target. Avoiding Dangerous Climate Change. J. S. Schellnhuber, W. Cramer, N. Nakicenovic, T. M. L. Wigley and G. Yohe. Cambridge, Cambridge University Press. Meinshausen, M. (2008). Eine kurze Anmerkung zu 2°C Trajektorien. Wege aus der Klimafalle. H. Ott and Heinrich-Böll-Stiftung. München, Oekom: 19-30. Meinshausen, M. (2004). Emissions, Targets and Projections for Annex I Parties. The International Climate Change Regime: A Guide to Rules, Institutions and Procedures. F. Yamin and J. Depledge. Cambridge, Cambridge University Press. 1999 - 2000 MSc Environmental Change & Management, University of Oxford, UK. MSc Thesis on "The climatic effect of temporary carbon storage under the Clean Development mechanism of the Kyoto Protocol"
2001 - 2002 Assisting and lecturing at the Institute for Atmospheric and Climate Science, ETH Zurich, for the case study "Montreal Protocol"